Fog can be a driver's worst enemy, but a photographer's best friend. And when you live in the mountains, you get to deal with it quite a bit, whether you like it or not. :) As a driver, I can deal with it, and as a photographer, I love it: fog and mist add mystery to images, and help create a three-dimensional look to most scenes. 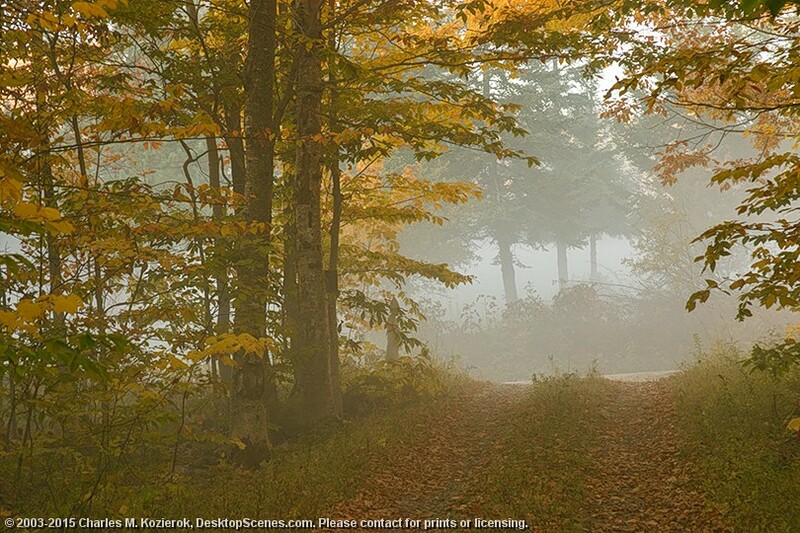 On this mid-fall morning I was happy to see the mist hazing the end of my driveway. Later in this SceneSet you'll find a few other images that show even better what mist can do to otherwise-ordinary scenes, especially when combined with rays of sunlight.